Every day, Capalino+Company is tracking legislation for our clients, including introductions, amendments and trends in order to provide useful and actionable legislative insight. 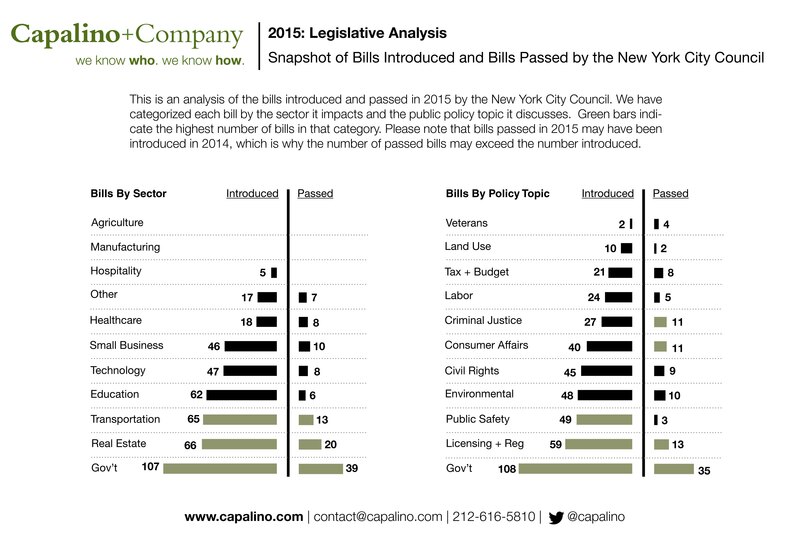 We’re excited to bring you the Capalino+Company “Legislative Dashboard,” which summarizes the New York City Council’s legislative activity, including the types of bills introduced and passed by sector and policy topic, and in what quantity. We look forward to sharing our expertise on legislative and public policy issues with you through our weekly newsletter, blog and social networks. 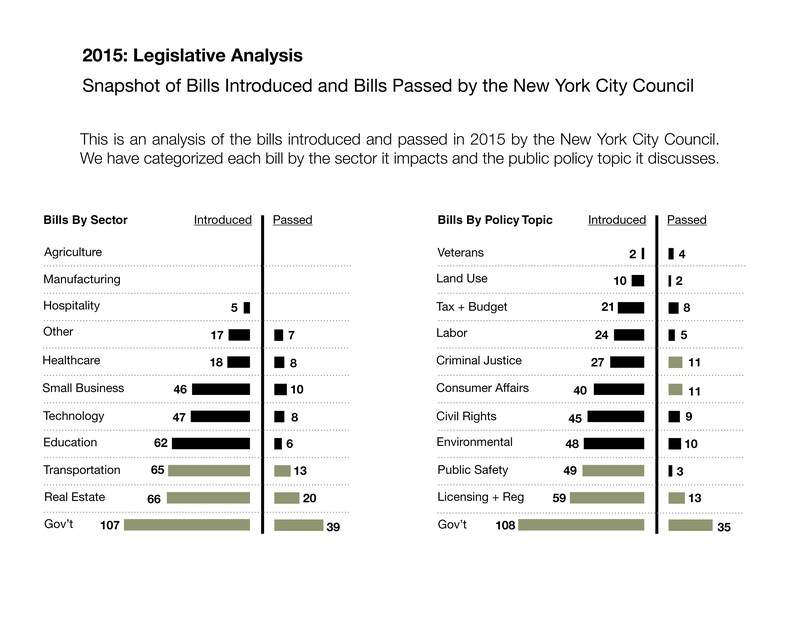 Keep an eye out for other helpful insights on the workings of New York City’s legislative body.